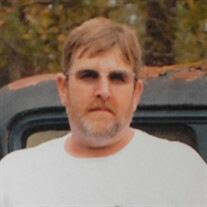 Phillip Randall "Randy" Lyons, 46, of Starke, Florida passed away on November 15, 2017. Randy enjoyed spending his time hunting, fishing. He enjoyed watching Nascar. Randy loved Florida Gator football. He was a member of Sampson City Church of God and he deeply loved the Lord. Randy leaves his beloved family to cherish his memory. Phillip Randall Lyons is survived by his father, Phillip L. Lyons. Mothers; Elizabeth Luke Payne (Calvin Henley) and Sheila Marie Lyons. Daughter, Makyllah Kirkland. Two brothers; Shane Lyons (Chelsea) and Jimmy Crowe (Jessy). Two sisters; Shandah Crawford (Dinky) and Kimberly Lewis (Jimmy). Several aunts and uncles. Two nephews; Troy Testone Jr and Braxton Cole Testone. One niece, Amber Nychole Parker. Several cousins. He is also survived by his dear friend, Patricia Lyons Kirkland.